The New York Post reports: "An NYPD cop went on a wild dirt-bike ride in Harlem on Sunday afternoon — and injured himself when he tumbled off the bike and slammed into the road, video of the crash shows. 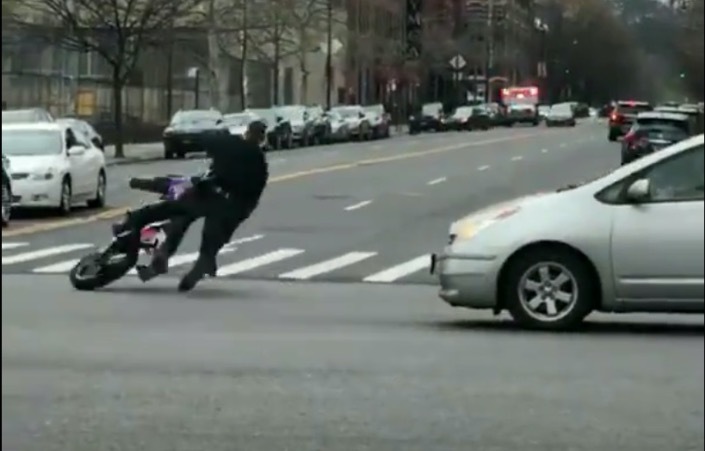 The cop popped a wheelie, and then sped off into traffic on the bike on Lenox Avenue and 135th Street at about 6 p.m., according to the video and police." Authorities launch Muslim hunt with emergency text message: "see media for pic"